Looking for private in-home or in-studio Viola lessons? Our Agoura Hills teachers are ready to get you started. Find your teacher today! Check out some of our most popular teachers near Agoura Hills, CA including Los Angeles, Long Beach, Glendale, Burbank and Pasadena. Hello future viola students -- welcome!! In addition to playing violin, I've also played viola in duets, trios, and string quartets, and is another beautiful instrument to learn. My approach includes providing the student with a good foundation of both left and right hand technique using a combination of method books which reinforce note-reading and proper posture for the first year. We then start adding solo pieces from the Classical repertoire and supplement those with modern pieces from Pop, Latin, Jazz, or any other style the student would like to learn. Students always get a well-rounded education with me on the string instruments I teach AND are prepared to play either alone, or in groups when the opportunity presents itself. My teaching purpose is to instill a music appreciation while showing the technical aspects, reaching for a deeper way of transposing the even the most distinct feelings into music. To share my musical and educational experience with others, to exceed all others expectations, as well as mine, to fulfill my dreams, and create stronger principles, while reaching personal growth. I started learning violin when I was 7, and felt in love with it ever since. While playing and teaching for the past 20 years and enjoy sharing my knowledge with music enthusiasts of all age and skill level. 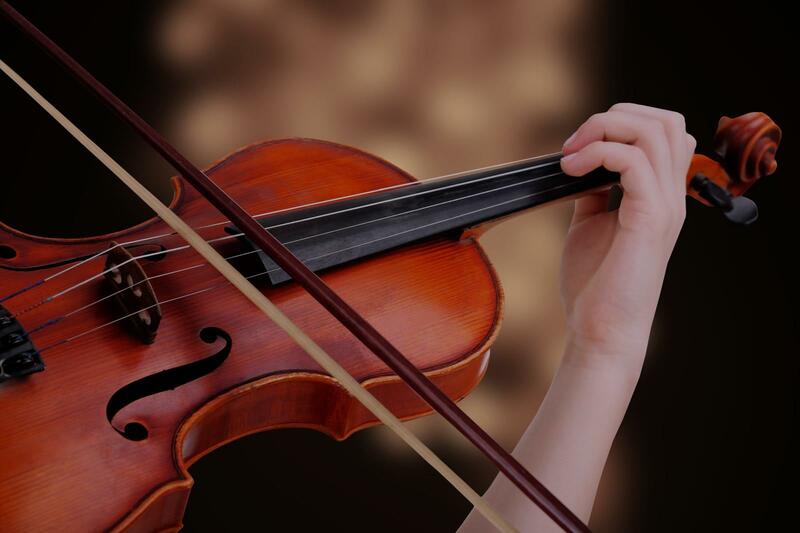 Are you looking to start violin lessons? Or maybe you just want to improve your violin playing. I can show you benefits in several surprising ways beyond just gaining the ability to play beautiful music on a new instrument. Adrian is very friendly. Right now he is teaching my 7-yr-old the violin. It is a big commitment on my part (as the parent) to help oversee his practice times at home. I’m grateful for Adrian’s guidance on helping us achieve goals by showing him how to practice. I like how Adrian shows my son what to do and encourages him to think and speak about each piece. My son is still on the shy side right now, but I’m hoping he’ll warm up more. He enjoys being challenged, so I’m looking forward to this journey with him together. Adrian is very patient, easy to work with and seems to know what he is doing. Adrian is great. We've only had one lesson so far, but my 8-year old already wants to go back and he really enjoyed Adrian's welcoming and comforting approach. Adrian took time to understand why my son wanted to learn the violin, why he choose the violin and what his motivation was for learning such a unique instrument. We can't wait to go back and learn more!! I strongly believe that, if every child would be provided with an ideal environment, would gain extraordinary ability. There are no exceptions. No one can tell how able man is by the nature. What is known is the ability that is spoiled or developed. It cannot be denied that most children speak their native languages beautifully by learning about 3000-4000 words by age 5 or 6. Nothing can clearer demonstrate of the original power of the human mind. Through the years of studying and teaching music I realized that this is the most important concept for developing each kid's talent, to increase his or her ability to the maximum. Therefore I am combining the great methods of teaching violin. The Suzuki method and the Russian school method. Suzuki method helps at the earliest stage of playing an instrument and I am using later Russian school method for more advanced period of studying. I have played viola as long as I have been playing violin. I love the violin, but the viola has a certain richness about it that I cannot keep myself away from. If you are interested in learning to play the viola or to advance further in your viola studies, I will do my best to take you as far as you are willing to go. I currently hold a Bachelors of Music degree in violin performance, and a Masters of Music degree in viola performance. Additionally, I studied music education for 2 years at the University of Redlands. I have taught privately and in classrooms since 2009. My career is made up of not only teaching, but performing in live concerts and recordings all throughout the Los Angeles area. I have also performed in over 30 U.S. states and in the countries of Haiti, Colombia, Portugal and France as violinist and music director. Brandon is a great teacher, I'm really enjoying our lessons, and it's at the point where I find practicing fun. I didn't deal with so may Violin teachers to compare, but I can't imagine a better teacher than Brandon. Thank you Brandon!!! Brandon is a wonderful violin teacher he takes time to teach you the music and learn to read the notes in a methodical way. I've been teaching viola for over 10 years and my students have gone on to learn and appreciate different styles of music. Within the first few lessons, you'll be able to learn the basics and as time goes on you'll be able to play different songs. I specialize in providing you with the guide, tools and knowledge that you will need to succeed. I love working with students of all ages and experience levels and I can't wait to meet you! Professional Musician with over 25 years experienced teaching children and adults. Learn how to play piano, violin, viola & cello with a personalized approach. Whether you are thinking of lessons for your children or for yourself, it is always a good idea to start right away. I have many successful adults students as well as teens and children. I believe that anyone can learn music at any age. I will provide you with the tools and personalized instruction. We all learn in different ways and it is my job to make you succeed in your instrument of choice. Please send me your questions or concerns and let's get started. Awesome Lesson! Practicing hard and looking forward to taking more! I specialize with beginner, intermediate and adult learners. I currently hold a degree in music education from LaGuardia Community College, pursuing my master's and bachelor's at Montclair State University this fall for music education and performance for the viola. I'm not afraid of travelling (in fact, I enjoy it!) and am easily reachable and approachable. I understand the world of music, let alone classical music, can be intimidating and challenging; in response to this, I develop an individual basis teaching method as everyone's needs are different and make the experience as fun and engaging as possible. es or practice space of their choice as the main root of discontinuity in studies is the lack of support and passion. Feel free to contact me at anytime should any questions arise and remember, music is about having fun, so let's have fun! I really enjoyed my 1st lesson with Ashley. She gave me hope that I’m not a basket case. I feel encouraged that I might someday play well enough not to send people running for earplugs or exits. I began learning the viola when I was five years old, so I understand the need to find fun and passion when playing. That doesn't mean you won't be challenged each week, but we'll make sure you learn more yourself as a student and a violist along the way. I approach each student differently based on their learning style. Can't find a teacher in Agoura Hills, CA? Students are raving about their Viola instructors on TakeLessons. Check out some of these recent reviews. "Tigran is patient and pays attention to detail. I would highly recommend him." Los Angeles, CA teacher: Tigran N.
"My daughter had a very good experience with Anna. She is a knowledgeable and skilled instructor. Highly recommend!" Los Angeles, CA teacher: Anna K.
nt in his viola playing since he started taking viola lessons with Anna. I am so glad to see such a big progress in a short period of time. We are very grateful to Anna for her help and efforts." ng and engaging. From moment we met him we knew he’d work for our daughter. He is multi talented playing many instruments so the background seems to really help him engage variety of levels. Excited to see this take shape. Def recommend Troy"
Los Angeles, CA teacher: Troy P.
ow one of the better players in the group. My son also enjoys taking his class with Tigran."
. I noticed a dramatic improvement after the first few weeks. I would highly recommend him as an instructor."
. He knows his orchestral string instruments, especially my instrument of choice: the viola. I was even more impressed since he has performed with musicians like Chuck Mangione, Barbara Cook, and Andrea Bocelli. He has made my lessons fun, exciting, and very engaging. I highly recommend Nick to anyone wanting to learn a string instrument!" Los Angeles, CA teacher: Nicolas R.